This is a sponsored post written by me. All recipes, images and opinions are my own. 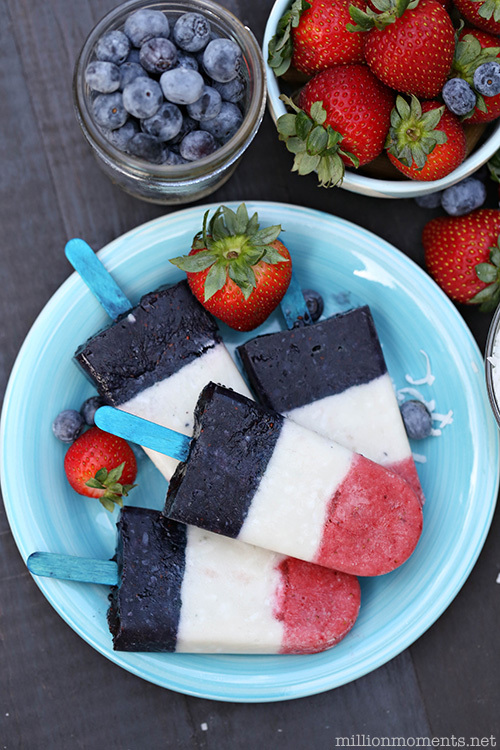 Fourth of July festivities are generally full of fun, family/friends and fabulous food. Our yearly tradition growing up was always going to my family’s big 4th of July picnic on the weekend of the holiday. There were rides, petting zoos, music, games, and a buffet table 50 feet long where everyone who attended brought their favorite covered dish. Everyone’s plates were piled high, full of southern homestyle food like mac-n-cheese, fried chicken and banana pudding. It was amazing, but all that greasy food and sugar isn’t going to make you feel great, especially on a hot day in the sun. Now that I have my own family we like to have 4th of July festivities in our own backyard, but since we live a healthy lifestyle we aren’t going to be including heavy dishes that are full of not-so-good ingredients. 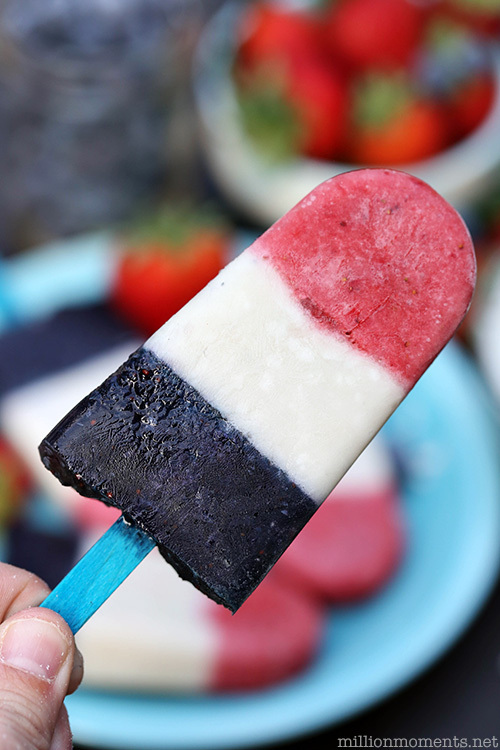 I wanted to whip up a special sweet treat for the big day, but I don’t want it to be full of sugar (hello crazy monster kids hanging off the walls) so I came up with these great Firecracker Fruit Pops made with fresh fruit and Silk Almondmilk Protein + Fiber. You might think these look like normal popsicles, but they pack a punch with the protein, fiber and calcium in Silk Almondmilk. Not only is Silk dairy free and full of nutrients, but it has not artificial colors, flavors or high fructose corn syrup either! As a parent who lives a health conscious lifestyle I can definitely get behind that! 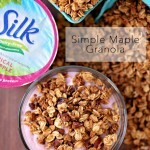 Silk is a great alternative to cow’s milk, and they offer a ton of different varieties. 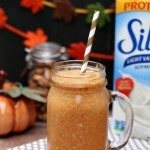 My favorite is their vanilla coconut milk, but lately I’ve been using their Almondmilk Protein+Fiber flavor and it has been a big hit! This recipe is really easy, and you can even get your kids to help! You can customize it any way you like with different fruit, but since I’m feeling festive I decided to make mine red,white and blue. And besides, doesn’t this fresh fruit just look amazing? 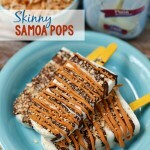 These pops taste great and are completely guilt free, so go ahead and eat a few! 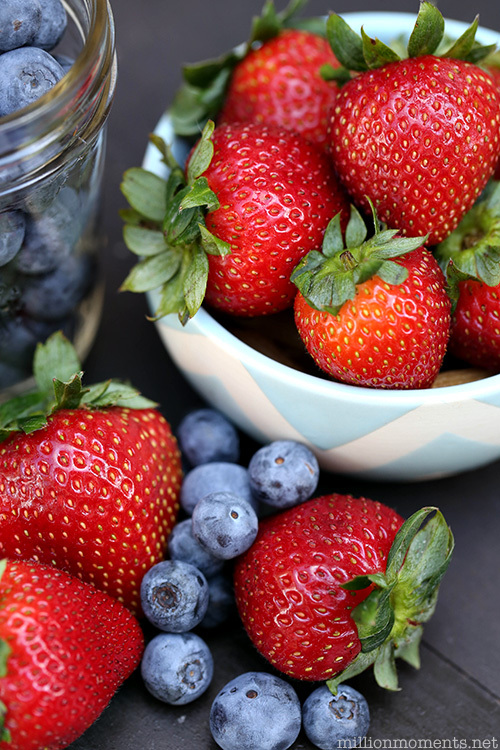 The first thing you want to do is cut the leaves off of your strawberries and then rinse them off along with your blueberries. 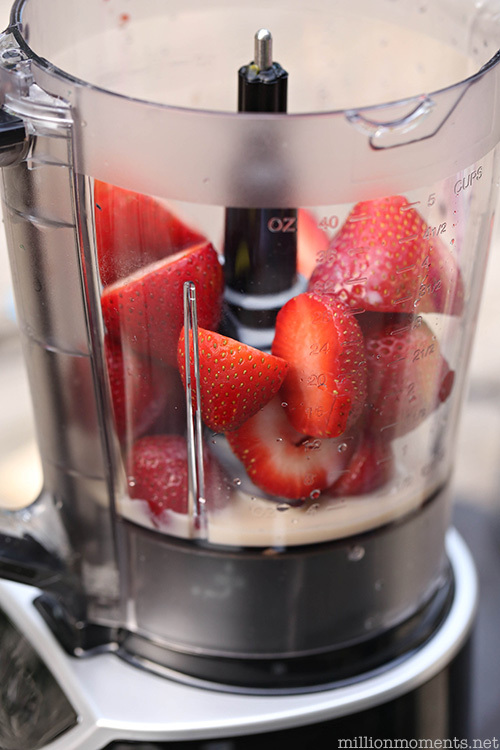 Next, combine the strawberries and 1 cup of Almondmilk in a blender and pulse for a few seconds until you have a nice chunky mixture. If you don’t have a blender then just chop everything up very fine and mix it with your Almondmilk in a small bowl. 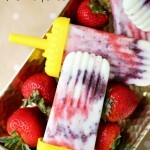 Now pour that into your popsicle molds so it takes up a third of each one. 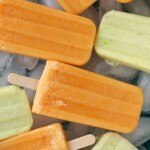 Pop them in the freezer for 10-15 minutes. 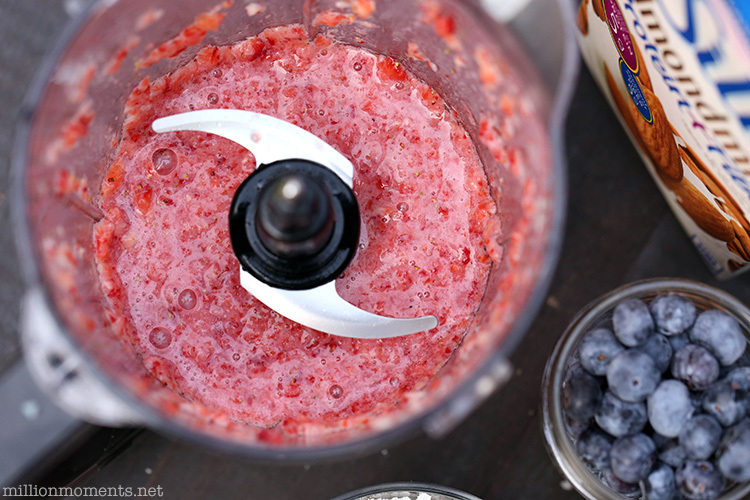 While they are freezing repeat the above step with your blueberries and 1 cup of Almondmilk and set it aside. Next, stir together your coconut and a final cup of Almondmilk in a small bowl. Take your semi-frozen pops out of the freezer, add in the coconut mixture for the second layer and return to the freezer for 20 minutes. I like to clean up while I’m waiting on the next step. After your 20 minutes is up take them out, grab your popsicle sticks and *gently* push them in far enough that they stay in place. Now pour in the final layer of blueberry mixture and return to the freezer until completely frozen (around 20 minutes). Once they are ready you can serve them immediately. Don’t they just look amazing? By switching out sugary sweets for fruit and protein packed snacks like these you can feel great about your food choices and be more fueled for the hot day ahead! Keep up with Silk on their Facebook page (grab a coupon while you are there!) and Twitter.. 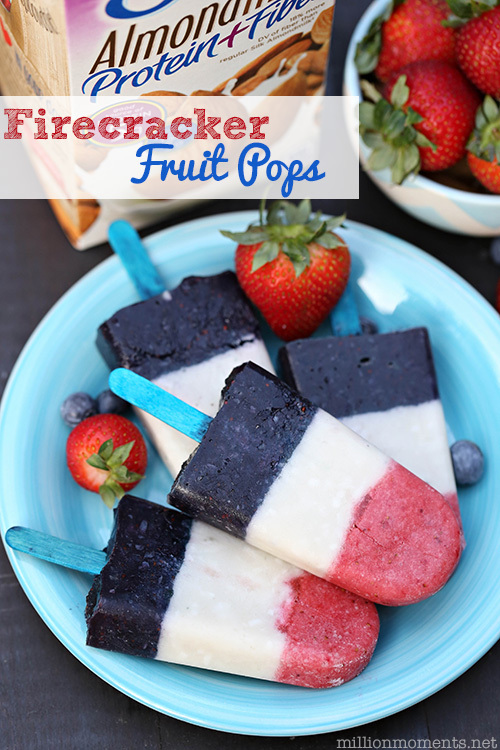 I hope you love these fun fruit pops, and have a great 4th of July weekend!